located fives miles south of Melrose, nestled amongst majestic stands of cottonwoods, you will find one of Montana’s original fly fishing lodges. 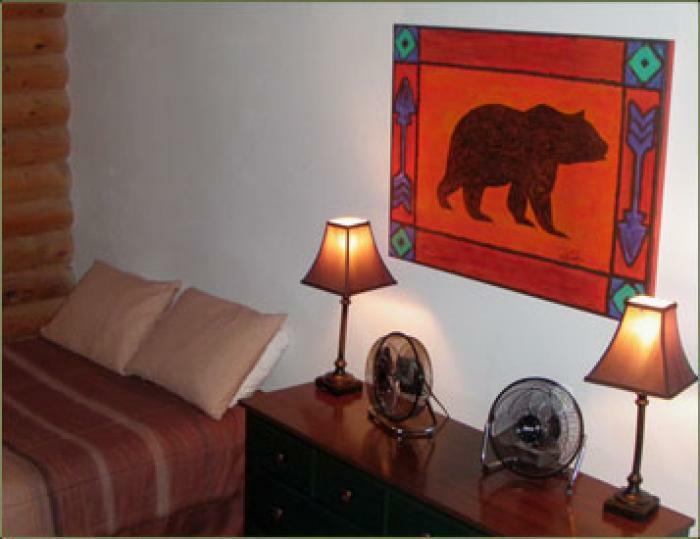 Unlike other full service lodges that offer only week long packages, at Great Waters Inn you can mix and match services on a daily basis to suit your vacation needs. Our pricing schedule affords the ultimate in flexibility. Clients can choose between all-inclusive packages where all lodging, meals, guide service and daily tackle needs are included in one price. Daily lodging and meal packages are available as is daily guide rates for those of you interested in alternating a day or two of guided fishing with your own efforts as you explore the wonders of the Big Hole Valley. 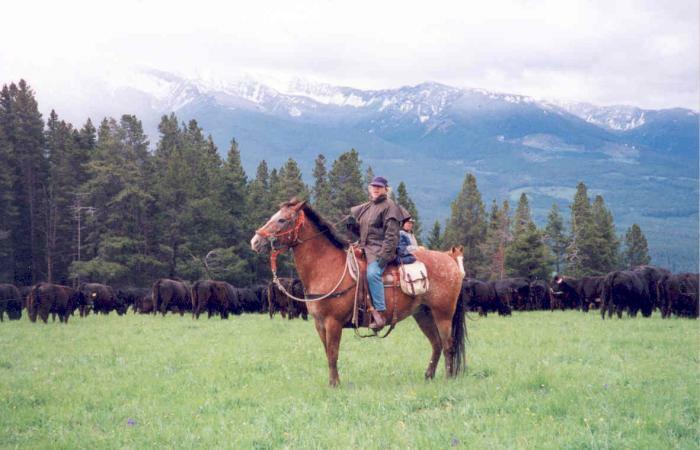 All the while you will be our guests staying right on the banks of the Big Hole River, your headquarters for the best producing waters of Southwest Montana. A quick call or email, and we will be happy to visit and help you plan your Montana fly fishing vacation. Our Home Waters.....three of the best! Beaverhead River- Looking for BIG fish? The Beaverhead is the place. 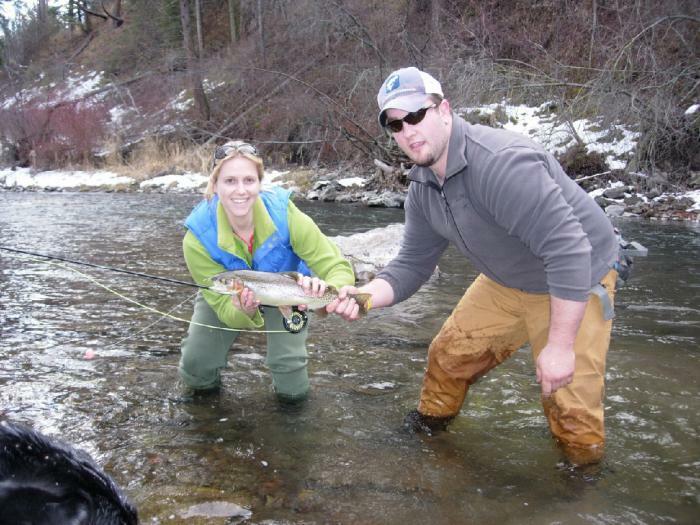 Montana Fish & Game shocking surveys report a trout of four pounds every fifty feet of river! A remarkable statistic, the best big trout small stream in the country. 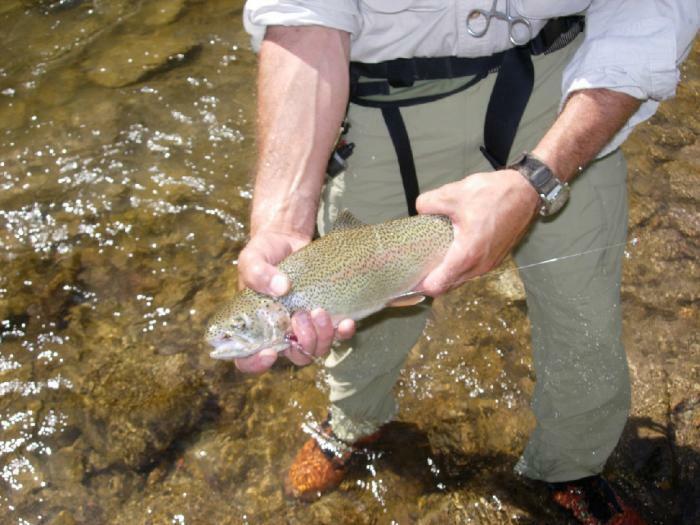 Seasoned anglers will appreciate the size and tenacity of its trout. 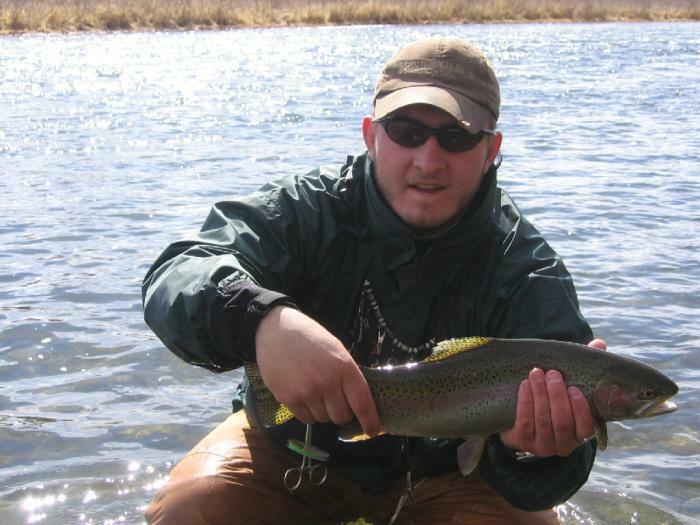 It’s not uncommon to consistently hook rainbows and browns in the 17 to 21 inch range throughout the course of the day. Nymph fishing is excellent all season with opportunities to sight fish nymphs to monster trout in shallow water. Good hatches of pale morning duns, yellow sally stones and caddis round out the fishing opportunities for anglers looking to take these large trout on the surface. Madison River- Montana’s star attraction during the sixties and seventies was the Madison River. Virtually every Fishing publication during that time featured the wonderful fishing one could expect. Famous for its surface feeding rainbows, the river was a beacon to visiting anglers from all parts. The Madison is a large, fast flowing stream. Most anglers are more comfortable fishing from a drift boat as it is treacherous to wade. It boasts a great salmon fly hatch as well as good caddis and grasshopper fishing. Because of its shallow depth, the trout consistently look to the surface for their fare. 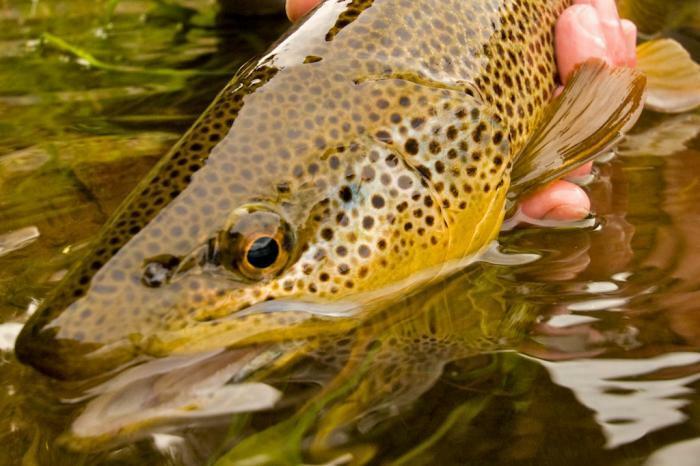 Hard charging rainbows and browns in the 14 to 18 inch range will keep you entertained as you float through one of Montana’s most dramatic high elevation valleys.